Fixed the file name of the Akatosh normal map. 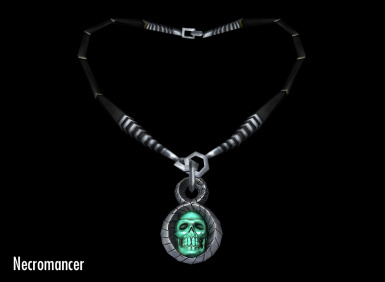 Added new amulets: Articulation, East Empire, Jeweled, Necromancer. 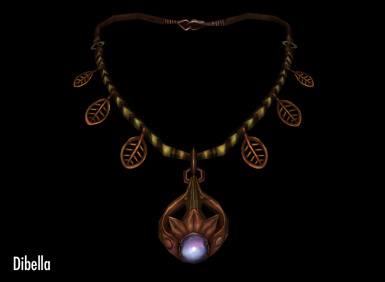 I have redone all of the previously released amulets. 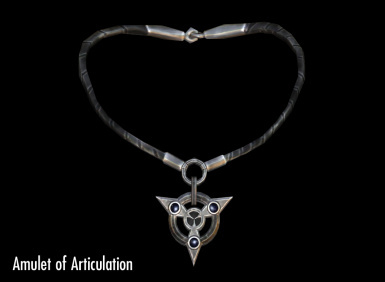 I have also added new amulets: Articulation, East Empire, Jeweled, Necromancer. 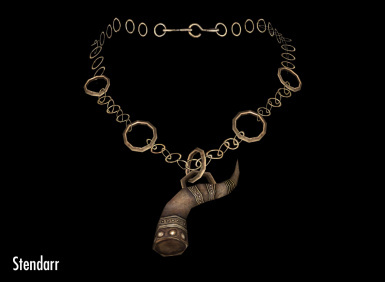 Added the Gauldur Amulet. While I didn't want to do this for all nine of the previous ones, I put up before/after of this one to show the difference. 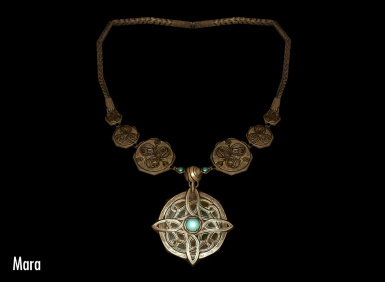 I was never satisfied with the very limited retextures of the Amulets of the Nine Divines available, mainly because they kept the original size and low quality. I decided to make my own and now share them here. 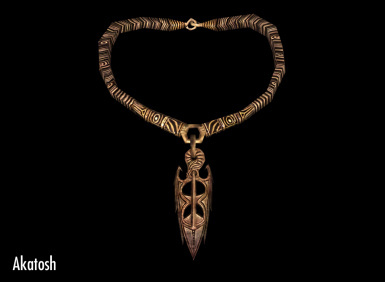 I might work on some of the other amulets, but wanted to get these initial nine out of the way. These have been resized from 256px to 512px and smoothed out a bit to get rid of pixelation, so there is some loss of detail, but not much. 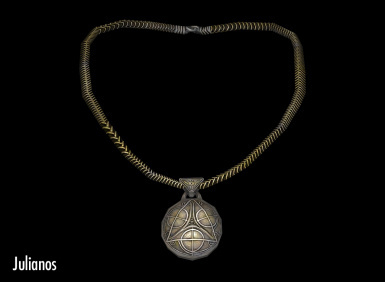 This method works well with some amulets, but not all. Anything larger would look very bad. I didn't want to clutter the images with before/after of each amulet, but I have included one sampling of the Ancient Nord Amulet for comparison. 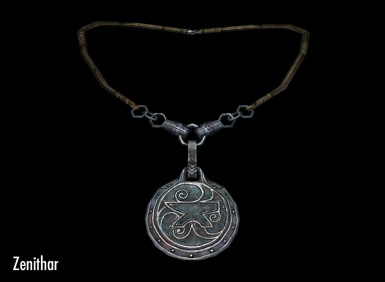 All amulets of the nine divines have been redone and are an improvement over 1.0. Please uninstall the previous amulets and install these new ones. 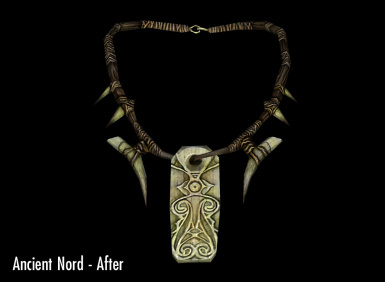 Additional amulets are: Ancient Nord, Amulet of Articulation, East Empire Pendant, Jeweled Amulet, Necromancer Amulet. 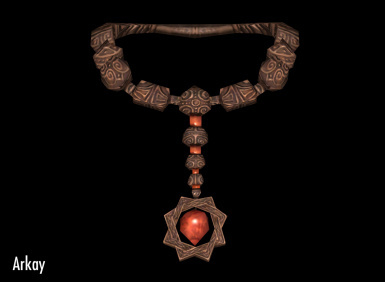 As of 2.0, I consider all amulets to be done that I'm going to do. 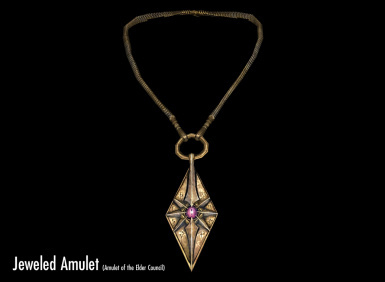 The only amulets I have not done are those that are heavily textured or have been designed to look timeworn. 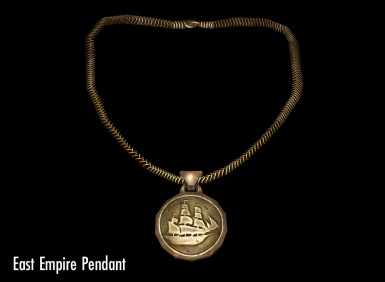 * The vampire amulets from Dawnguard. These are supposed to look as textured bone, so I don't feel that they need to be cleaned up. 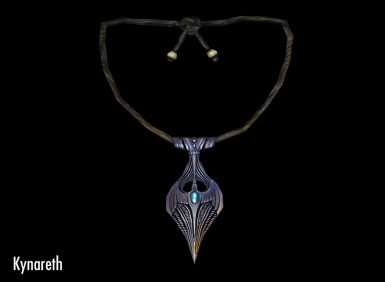 * The bone hawk amulet, for the same reasoning as the vampire amulets. 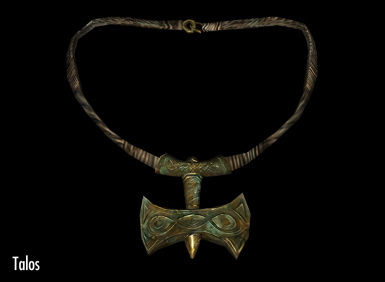 * The Skaal amulet, as that appears to be made of stone and would not benefit from being cleaned up. This should also work in Oldrim, but I haven't tested it as Enderal is loaded onto that Skyrim installation. I'd appreciate it if someone would let me know so I can recreate the mod page over there. These are just texture replacements, so install with NMM and go.